Competition among the ferry companies and the Channel Tunnel has made it easier and better value than ever to take your motorhome across to France. 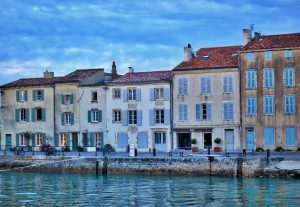 France is twice as big as the UK so there is plenty to see, and whatever part of the country you choose for your holiday having a motorhome at your disposal gives you the freedom to have a bespoke holiday, moving to the next town or village at will. 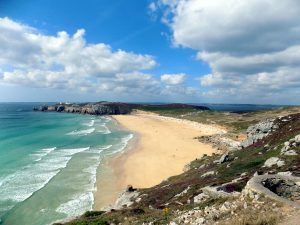 Here’s our recommendations for the best 20 places for your French holiday destinations for a motorhome adventure. 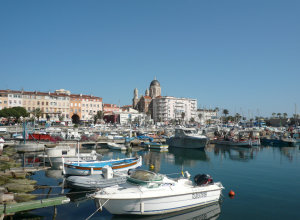 On the most expensive part of the Riviera coast between Cannes and St Tropez, the village of Fréjus and its seaside suburb of Saint Raphaël offer the French Riviera experience without the price tag of the more famous resorts and French holiday destinations. Most campsites in this area have swimming pools, water slides, playparks and many other onsite facilities, but summer months are extremely busy and booking in advance is essential. Expect to pay more to stay in this region than some of the more mountainous areas and lakeside resorts. With average temperatures in July in the St Tropez area, be sure to take cool boxes and ensure that you have adequate air conditioning if you’re taking your own motorhome to the region. 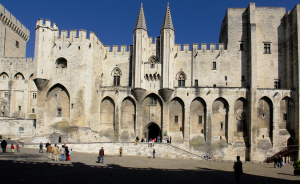 Centre of the Christian world in the Middle Ages, the town of Avignon sits on the river Rhone. It’s the perfect place to combine a bit of history and culture with visits to local wineries, some traditional French cuisine and pretty countryside. 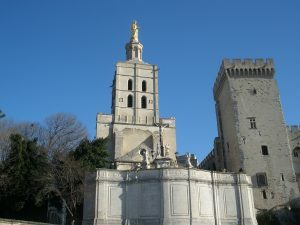 The centre of Avignon gets very crowded, so park up at a campsite outside town and use public transport to explore the city. Paris doesn’t immediately strike you as a motorhome-friendly city, and in the city centre that’s certainly true. Look to the east of the city where there are several campsites within striking distance of Disneyland Paris and the city centre. Research carefully to find a site close to public transport if you are planning on travelling into the city as a French holiday destination for you and your family – Paris traffic jams are legendary. 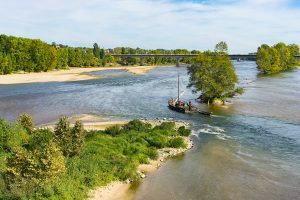 A rural area of France known for its stunning castles and stately homes, the Loire Valley is also the idea destination for those who enjoy walking, cycling or golf. Most of the sites will have pitches for motorhomes with electric hook ups, providing a great base for exploring chateaux and the surrounding countryside. Centre of France’s champagne making industry, the village of Epernay is where to head if you want your holiday with added fizz. Don’t miss the cellars of the famous Moet et Chandon champagne brand which are open to the public for tours. There’s a campsite on the edge of town, within walking distance of the main shopping areas and champagne houses. 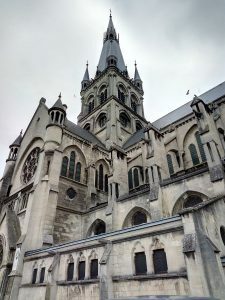 If you go for a wander don’t forget to consider that deep beneath the ground in many areas of the Epernay village there are up to 200 million bottles of champagne ageing and waiting to have their cork popped to celebrate some occasion or other. Interesting fact from the region is that the extroverted and irrepressible Mercier family once hosted a car rally in one of the cellars and not a single bottle of champagne was damaged. Although it’s more associated with winter sports and skiing, Val D’Isere in summer makes the perfect place for a mountain escape. You can go walking on a glacier even at the height of summer, go mountain biking, paragliding or just sit in a café while you watch the world go by. 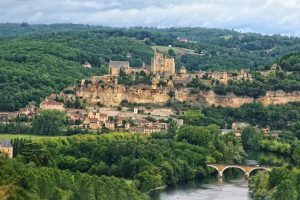 Visitors come to the Dordogne area for its picture-postcard villages, deep gorges and wooded hillsides, and a bit of history too. This is the perfect area for a motorhome based holiday, travelling from town to town and spending a night or two at each. Don’t miss the town of Sarlat-la-Caneda, the region’s most famous. Easily accessible from the Channel ports, Brittany has been described as a French Cornwall. Here’s where you’ll find dramatic coastlines, medieval towns and traditions which are quite different from the rest of France. The region is also famous for its excellent seafood. There are lots of activities to carry out whilst visiting the Brittany area (besides sunbathing on the beautiful beaches), such as gathering shellfish, French cooking lessons with famous chefs, venturing into the woods of the Ille aux Pies and walking into the hills above Brittany. The region of Alsace-Lorraine has changed hands between France and Germany many times over the years, and there’s still a German feel to this French region. It’s a region of vineyards and is perfect for walkers and mountain bikers. Venturing further afield, it’s an easy drive into Germany and the interesting towns of Freiburg and Baden Baden. Off the west coast of France near La Rochelle is Ile de Re, famous for its laid back lifestyle, miles of sandy beaches and watersports. There are dozens of campsites on the island, so choose one and use it as your base for exploring, or travel between two or three to experience different aspects of island life. This area is especially popular with the sophisticated Parisiennes who spend a lot of their vacation time there. It could almost be considered ‘The Hamptons’ of France, where the in-crowd go every Summer. Pine forests and dunes aplenty make for a mix of tranquility not to be missed. Perhaps France’s most famous medieval town, with its striking fort, Carcassonne looks like something out of a fairytale. The walled city attracts four million visitors annually, so plan your visit carefully to avoid peak periods. There are several campsites close to the walled town centre, many of which have a pool in the summer months. The fort there has notably been added to the UNESCO list of World Heritage Sites. 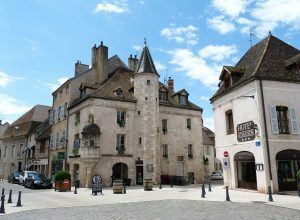 Whilst the majority of the business which comes into Carcassone is via tourism, the town also boasts wine-making and other manufacturing amongst its product outputs. Connected to the Normandy mainland by a brand new bridge, Mont St Michel is now accessible at any time, not just at low tide. 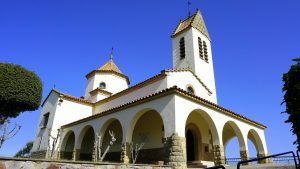 The narrow streets spiralling up to the chapel are one of the most visited places in Europe, but if you want to visit the Mont you’ll have to stay in one of the many campsites on the mainland and travel across. 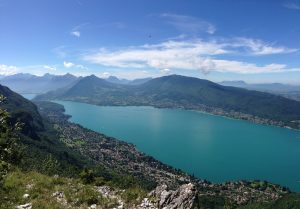 The town of Annecy in southeastern France is often called “Little Venice” as there are so many canals and its worth visiting for its pretty Alpine scenery, lake and castle. Close to the Swiss border, you’re just 20km from Geneva if you want to explore further. Unsurprisingly some of the most popular activities available here in the Summer months for holiday makers are water based and include sailing, water-skiing or diving. For the more adventurous diving is available and even paragliding. For those looking to explore the history of the region there are plenty of museums and castles to discover. Tours are available for those less confident in getting about alone, or who simply want to take advantage of the knowledge available through tour guides. Famous for its wine production, Burgundy is the ideal place for a restful holiday. There’s plenty of space to get away from the crowds as you explore the medieval villages and visit a winery or two. There are more than 200 campsites in the Burgundy region, so finding a space to park the motorhome shouldn’t be a problem. Dating back to the Roman empire when the celts first inhabitated the region, this area is steeped in history aplenty. There are museums, guided tours, walks and of course plenty of wine to discover. Not just for those on a religious pilgrimage, head outside of the town itself to find yourself in lovely mountain countryside, with plenty of campsites from which to explore the area. Also close by is the town of Pau, which is less commercialised but has a famous castle and art museum. Arles is famous for its Van Gogh museum and its Roman ruins. Between the city and the coast lies the Camargue national park, a protected wetland environment where you can see the white Camargue ponies, flamingos and lots of other wildlife. 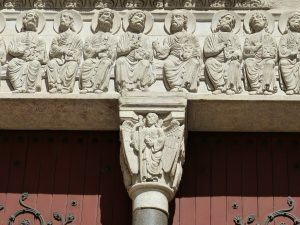 The Roman monuments of Arles are again listed on the UNESCO list of World Heritage Sites and have been since 1981. Over 300 drawings and paintings were produced by Van Gogh in just a year, between 1888 and 1889 when he lived in the area. The region is also famed for its annual International Photography Festival which has been running each year since 1970. 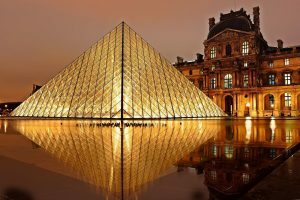 France’s second city in the east of the country has Roman ruins, dozens of galleries and museums and plenty of shops and restaurants for visitors. You won’t be able to park a motorhome overnight in the city’s car parks, but look just outside town and you’ll find plenty of camping options, many with pools and other facilities. 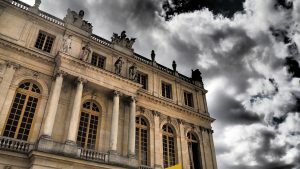 Just to the west of Paris and famous for its impressive 18th century Royal Palace, Versailles is the perfect place to experience the best of French history without braving the Paris traffic. 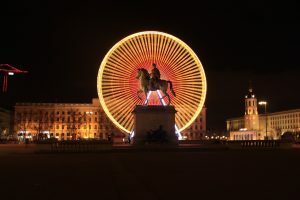 There are over 25 campsites within striking distance of the Palace, and staying close by allows you to get there early before the Paris daytrippers arrive. 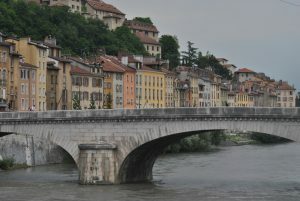 Many visitors heading to the ski slopes arrive in Grenoble and immediately head up into the Alps, but the town itself has hilltop fortifications, some of the best restaurants in France and great scenery in the surrounding countryside. Head outside the city into the surrounding hills to find the best campsites and of course some of the most beautiful landscapes that France has to offer. 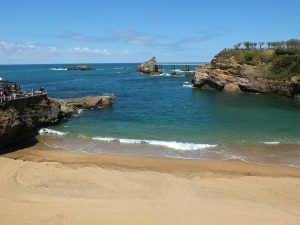 Biarritz is on the south western corner of France, close to the Spanish border. It’s a very elegant seaside resort with lovely beaches perfect for surfing, long promenades and sophisticated shops and restaurants. There are several options for motorhome camping, but the best places fill up quickly in the summer season.